Talented author Evelyne Stone reveals discusses her inspiration for Destroying the Wrong together with some great advice! Q: What inspired you to write ‘Destroying the Wrong’? A: My kids inspired me to write Destroying the Wrong. They listen to my advice but I don’t think they really hear me. I wanted to write about topics that would open up more discussions with them. I know I didn’t want to listen to my mom and had the attitude “it will never happen to me,” so I’m hoping at least some of my story will stick with them. Q: Tell us something about Evelyne Stone that is not common knowledge. A: This is a hard one! I’ve always been super boy crazy but if a cute boy ever talks to me, my whole body will turn red. Not a cute, blush red, but a red that makes me look like I just broke out in a rash! It happens with girls I find intimidating, too! Q: Are there any specific childhood experiences or memories that you feel have helped shape you into the person you’ve become? Would you share them with us? A: I have this terrible habit of remembering embarrassing moments constantly. The biggest one that made me terrified of public speaking seems to pop up more than the others. I was in seventh grade and I wanted to try out for cheerleading. The only experience I had was a cheer summer camp at the high school that lasted maybe two days. We had to get up in front of the entire school and they would vote. I was not skinny or popular, so the fact that I even considered doing it was amazing. I was the last to go and once I stood in the center of the gymnasium, I covered my face with my hands and couldn’t remember a thing I had practiced. I think I did one little part of the cheer and then ran off the floor. Everyone laughed. I hid in the bathroom for a few minutes, sucked it up and went to my next class. Even now, I hate getting up in front of people. Q: Bullying and teen relationships are two of the most prominent themes in ‘Destroying the wrong’. Are these issues close to your heart and do you have any advice for teens going through such challenges? A: They are both close to my heart. I was bullied throughout my entire school career and I wish I could say that it stops when you’re all grown up, but it doesn’t. Adults just bully others in other ways. Not to sound all professional, but I really think teen relationships help define our adult relationships. It’s so easy to manipulate younger girls and I’ve seen too many guys take advantage of that. My advice for teens is to keep an open communication with an adult. It doesn’t have to be a parent but someone you can trust and go to when you need advice. If you don’t feel 100% comfortable in a relationship, it’s probably not a good one to be in. Never, ever sell yourself short. Wow, I sound just like my mother! Q: Are there any authors you particularly admire or who you feel have influenced you greatly? A: I read a lot of books by Dean Koontz growing up and he has a way to pull you right into the book. I also read every Babysitter’s Club books and I loved the way I could relate to the characters while I was growing up. I want to write books with characters that are likeable so that when they experience things my readers have also experienced, the character can show the reader it’ll all work out. Q: When and why did you decide to become a writer? A: I’ve always wanted to write a book and honestly, I still have a lot to learn. I’m sure you can pull out at least five grammar errors in this interview alone! One of my best friends pushed me to try writing a book and I did. It’s not going to be a best seller but I finished and that feels really good. A: I am working on another YA book that focuses on relationships and letting go of things we don’t have control over. After that, I’ll be finishing up the third book in the Wrong series. 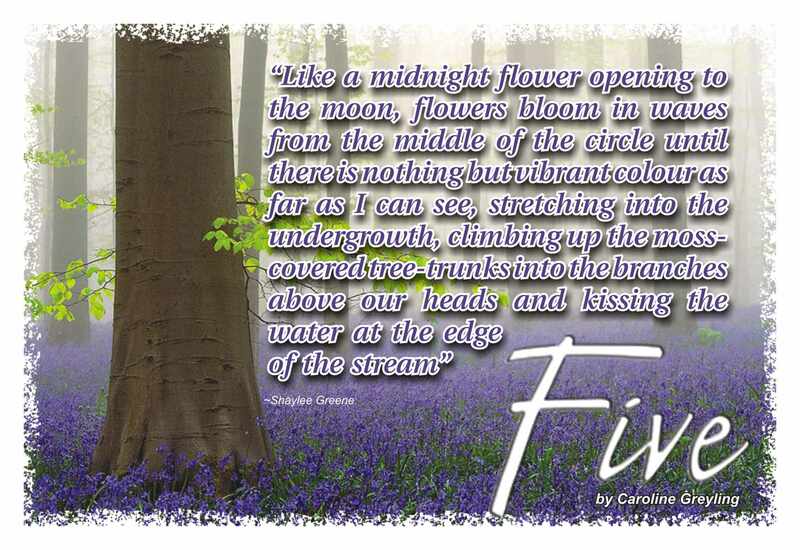 5 of 5 stars to ‘Beneath the Willow’ by Gemma Farrow and a chat with the author! Thomas’s life has changed in a few short days, and so has his beloved Keziah. After an attack one night, by a creature that shouldn’t exist, Keziah tries to prepare them both for what is to come, but can Thomas do his part? Can he make the right choice and live or die by the consequences? I can count on my two hands the number of short stories I’ve read in my life, and most of them were school curriculum selected. In general, they’re not my thing. I always wonder how an author can cram a whole, meaningful story that requires character development into so few words. But Gemma Farrow can – and she does it well. 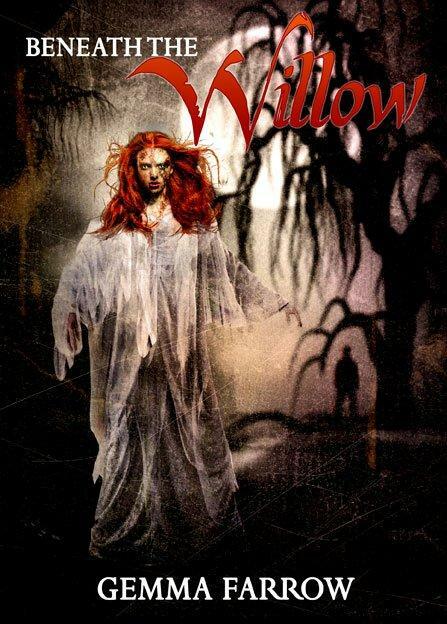 ‘Beneath the Willow’ is a poignant tale of love, grief, moral questioning and fear. With a few well chosen words, Ms Farrow has created an immediate emotional connection to characters that are four-dimensional. Her choice of original similes, metaphors and beautifully descriptive words pull you into the melancholy dilemma that faces Thomas as he decides what to believe, and what to do about his adored Keziah, who is changing into something else – something ‘other’. I’m also not normally a fan of memories and flashbacks but they are so well done here, that they add an additional dimension of surreal grief to the tale. The story itself is unique too, without the sexual and glamorous plotlines most vampire novels have, or the usual expected ending. There is a thriller / horror element, a little romance too, but for me, this story is more about being human. It’s about having to make choices between your head and your heart and paying the consequences for those decisions. If Ms Farrow can do this in only a few words, I wonder what she can do with a full-length novel. I’ll be keeping my eye out for more work from this talented author! Q: Tell us a little about Gemma Farrow. A: I’ve been writing since childhood, and had my first short story published by a small independent magazine when I was nineteen. Since then, thirteen years on, I’ve had over twenty short stories published, and an equal number rejected. I love nothing but to write. I live to create minor worlds that reflect the range of human frailties and strengths, the sorrows and joys. The people I know, think because I write paranormal and psychological horror, that it’s about violence and cheap scares. Horror for me is a genre that demands depth and emotional textures. As a writer, I need to hook my reader, and also like to blind-side them with unexpected reactions. If realism doesn’t exist in my writing, then the horror won’t have the greatest impact. Q: When did you realise you wanted to become a writer? A: When I was eleven years old. My English teacher told us to write a short story about anything that interested us. I wrote a ghost story. In May 2014, I finished the first book in my horror trilogy. It took me a year to write. It’s gone through many edits, including a professional one, and now is ready for the final polish. I’m also partway through the first draft of book 2. And planning out book 3. The storyline is about disconnection, loss, madness, and finding the courage to face the unknown. It’s a story about monsters, both human and ‘other’. Q: Do you have a life’s motto? Q: Why did you choose paranormal/psychological horror as your genre? A: That’s down to Stephen King, James Herbert, Graham Masterton, and Ramsay Campbell. From childhood through to now, they have been my favourite authors. My older siblings introduced me to their books. Horror films too, played an informative part in my fascination with this genre. Q: Thomas has to make a difficult decision between his head and his heart. Have you ever had to do the same? A: Yes. Fortunately for me, my decision didn’t have such an extreme consequence unlike Thomas’ eventual choice. Q: The dreams Thomas has are vivid and realistic. Have you ever had such nightmares? A: I’ve always been fascinated by dreams, and I study those I remember. I have a dream notebook. I guess because of this practice, and mental focus, my dreams are vivid and often lucid. I do tend to have more nightmares than dreams. But this is something I appreciate, because the nightmares seed future stories. Some of the things I’ve dreamed are in my horror trilogy. Q: Do you read all your reviews? What do you do with the good ones and the bad? A: I read all my reviews, and especially focus on the bad ones. The good ones boost my confidence, but the bad ones—or critiques—if they come from an unbiased viewpoint help me improve my craft. They may highlight something I haven’t noticed, a bad writing habit or dropped words. Reading reviews help maintain an awareness of how readers interact with a story, because when writing, it is easy to forget you are writing for a readership, and not just for yourself. Q: Tell us about one childhood/teenage memory that has impacted the person you have become. A: My mum is a strong believer in the supernatural and attending séances or hosting them was something she liked to do. As a child, I used to sneak downstairs, and spy through the gap in the door, whenever a séance was taking place. This fuelled my fascination, and also spooked me quite a bit. Once I became old enough, I was able to sit in the room when a séance was happening. I was familiar with them, and they no longer scared me. I started to view the séances objectively. I learned a lot about the afterlife, but most of all about people’s need to hang onto loved ones that have crossed-over. I realised I was no longer watching séances, but studying people, and their psychology.